Beauty trends change quite rapidly. Thanks to social networks it is easy to stay up-to-date with the latest trends. So, you might have noticed that natural-looking, bushy and dense eyebrows are a big thing right now. The most popular treatment to achieve that look is microblading. It is already a very well-known term among women who are at least a bit interested in what’s hot right now. 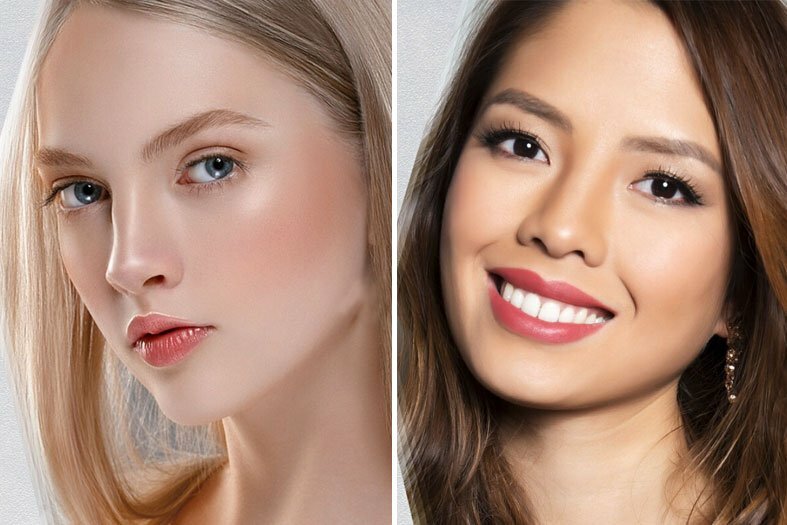 However, besides microblading, there are other techniques, such as ombre powder brows, that give a bit different brow results. In order to choose the best one for you, some questions about ombre powder brows vs microblading are answered below. Tattooed brows, which were popular in the past, were permanent but provided unnatural look. Both ombre powder brows and microblading are semi-permanent, which means that after some time they will fade away. However, unlike tattooed brows, these treatments provide natural looking eyebrows that are totally in style right now. On the other hand, the techniques are done differently and give a quite different results. Microblading means manually creating micro incisions on the surface of the skin and filling them with pigments. Every hair is created separately and the result are natural-looking trendy eyebrows. The process is perfect for people with dry skin, while those who have oily skin should opt for ombre powder brows. It is also perfect for those who want more solid brows. Ombre powder technique resembles brow tattooing since it involves the application of thousands of tiny dots of pigment, inserted into the skin. However, unlike traditional tattooing, this procedure is done on the epidermis layer of the skin, thus making it less permanent. The result is solid looking brows that look fuller and powdered. It is called ombre because the tail of the brow is always darker than the head. Also, if you choose this procedure, your eyebrows will always look as if you are wearing makeup. Whatever procedure you decide to go for, you will not suffer a lot of pain because the treated area is numbed before the process. However, microblading can be a little bit more uncomfortable since some blood is included. This is due to the fact that incisions are made during the treatment. But there is nothing to worry about – the pain included is not unbearable, it is similar to the discomfort you feel while plucking your eyebrows. The healing process is also quite similar with both procedures – it takes about 2-3 weeks for the redness to disappear, scabs to fall off and your brows to gain the final look. There are some aftercare rules to follow and after that, you need a follow-up appointment. After each of the treatments, you might feel disappointed because your brows will appear to be too dark, and then they will start to scab. Unlike microblading that scabs in patches, powder brows scab in one big (or a few big) pieces. It is important not to touch them and to follow the tips given by the artist in order to get the best results. 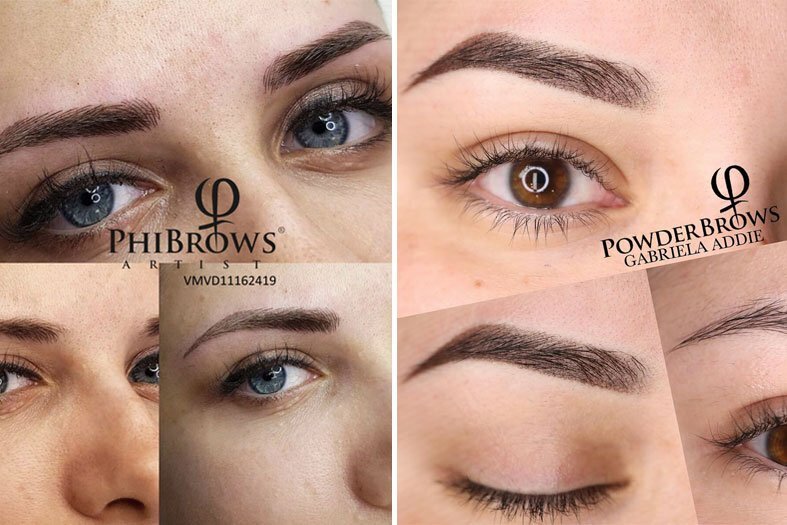 It is already said that both ombre powder brows and microblading are semi-permanent treatments, which has its advantages and disadvantages. The good thing is that they don’t last forever so in case some new trend shows up or thin eyebrows come back in style, you can change your brows. You don’t want anything permanent on your face. Also, even though they last much longer, tattooed brows tend to fade after some period, leaving blue or green pigment behind. Microbladed brows usually last up to 2 years. On the other hand, ombre powder brows last a little bit longer than microbladed brows, usually up to 3 years. Naturally, if you follow the steps given by the artist and take care of your brows properly, they will last and look good longer. The average price of a microblading treatment is $400, but it can go up to $1000, depending on the location and competition as well as the popularity of the academy and the artists. Also, there are some additional costs of touch-ups, which cost around $100. The price of getting ombre powder brows is quite similar, with the average price of $500. Again, there are follow-up appointments which cost additional money. Bearing in mind that eyebrows are the most prominent feature of your face, this is not a moment to try to save money. It is common that treatments done by experienced and well-known artist cost more, but at least you are sure that the job will be perfectly done. Therefore, don’t let the price be the most important thing when deciding which aesthetician to choose. If you are not satisfied with the shape of your eyebrows and want a complete make-over, you should choose microblading. Ombre powder brows are more suitable for those who already have brows but want to fill in some gaps and look like they are wearing makeup. Being fuller and resembling tattooed brows, ombre powder brows would be great for women with darker hair. Also, there are some other factors that must be taken into consideration. Having oily skin makes you a perfect candidate for getting ombre powder brows, since the final outcome will be better and new brows will last longer. People with dry skin should go for microblading treatment. In addition, people with large pores or alopecia, as well as some other skin conditions, should avoid microblading. Naturally, you will talk to your artist before the treatment and find out everything you need to know about the procedure of your choice, as well as the risks included. Whatever treatment you choose, you will not make a mistake, since both of them result in natural looking eyebrows. However, before booking an appointment, make sure you choose an excellent artist to perform the job. Ask around or go online to find certified and experienced artist who takes pride in a lot of satisfied customers, and Art of Beauty Academy is definitely one of them.